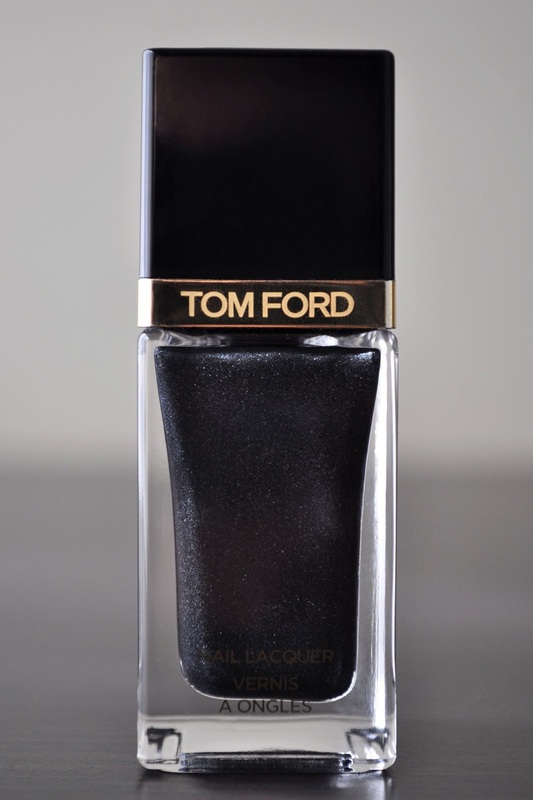 Brimming with fine silver, along with some shots of pale turquoise and pink microshimmer, magnifying the dimension, complexity and allure of Tom Ford's blackout, I relish how the lacquer's blackened, hematite grey hue dances along the edges of looking black. A outstanding formula that is nearly perfect in one coat. As with some of my other sparkly dark/black polishes, I was worried the finish would be gritty and look of glittery grain in tar. However, that was not the case, as Blackout has a comely, smooth cream finish (which wears for four to five days), with a brilliant "patent leather" shine. 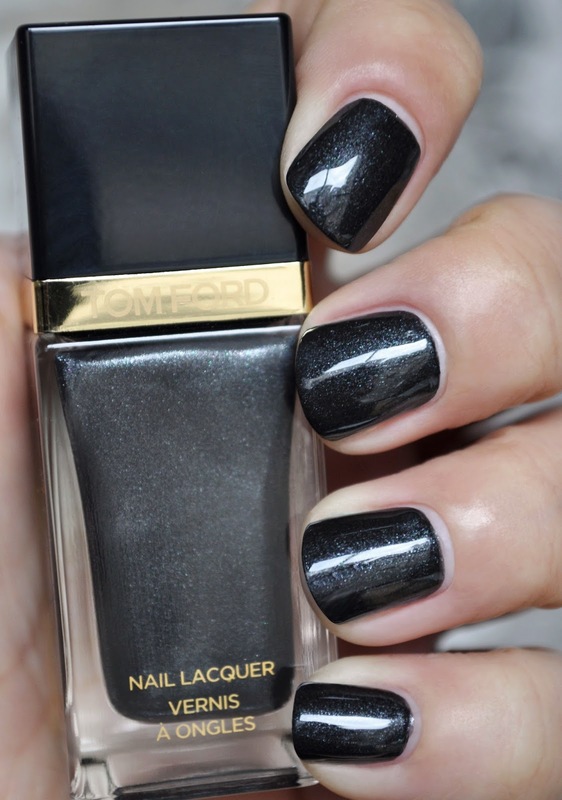 I truly heart Tom Ford's Blackout Nail Lacquer! What are some of your favorite dark/black sparkly polishes? It looks even better in person Amalia.